Was my child's hypoxic-ischemic encephalopathy (HIE) caused by medical malpractice? Hypoxic-ischemic encephalopathy (HIE) is often associated with medical mistakes and malpractice, so it is wise to call a birth injury attorney as soon as possible after the diagnosis. He or she will review the case records and consult with experts to determine if negligence caused your baby’s HIE. Hypoxic-ischemic encephalopathy (HIE), also known as birth asphyxia, is a serious brain injury that may occur during labor and delivery when a baby is deprived of oxygen. Oxygen deprivation causes cells and tissues within the body, most notably in the brain, to die, resulting in permanent damage. When the oxygen deprivation is significant, the amount of damage to the brain results in serious, permanent disabilities such as cerebral palsy, intellectual/developmental disabilities, and seizures. During pregnancy, oxygen-rich blood travels from the mother through the placenta and then to the baby through a vein in the umbilical cord. Blood vessels that run between the uterus and placenta, called the uteroplacental circulation, act in a manner similar to the lungs, and gas exchange takes place in these vessels. Anything that affects the flow of oxygenated blood from mother to baby can impact the baby’s oxygenation. Thus, if the mother’s blood pressure drops or there are problems with the uterus (womb), placenta, or umbilical cord, the baby may experience birth asphyxia. In certain cases, such as a complete placental abruption or umbilical cord compression, the baby can be completely deprived of oxygen-rich blood and will then have to rely on fetal reserves. Instances such as these are obstetrical emergencies, and the baby must be delivered right away before the oxygen deprivation starts to cause brain injury. Anesthesia mistakes, which can cause blood pressure problems in the mother, including a hypotensive crisis. This can greatly decrease the supply of oxygen-rich blood going to the baby. Uterine hyperstimulation caused by Pitocin and Cytotec can cause oxygen deprivation that gets progressively worse. At Reiter & Walsh ABC Law Centers, we have extensive experience handling birth injury cases involving hypoxic-ischemic encephalopathy (HIE). Attorney Jesse Reiter, president of ABC Law Centers, has been focusing solely on birth injury cases for over three decades, and most of his cases involve hypoxic-ischemic encephalopathy (HIE) and cerebral palsy. 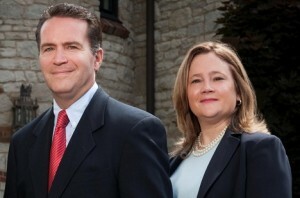 Partners Jesse Reiter and Rebecca Walsh are currently recognized as two of the best medical malpractice lawyers in America by U.S. News and World Report 2015, which also recognized ABC Law Centers as one of the best medical malpractice firms in the nation. The attorneys at ABC Law Centers have won numerous awards for their advocacy of children and are members of the Birth Trauma Litigation Group (BTLG) and the Michigan Association for Justice (MAJ). In this video, Michigan hypoxic-ischemic encephalopathy (HIE) lawyers Jesse Reiter and Rebecca Walsh discuss the causes of HIE, including negligence by the medical team.